This afternoon, Labour’s national executive (NEC) will discuss under the rather dull heading “NEC Terms of Reference and Committees” an important matter: how much power should lie with its grassroots members. Most NEC members understand that what the rulebook says about the primary purpose of the NEC being to “provide a strategic direction for the party” has been nothing but fiction for the last two decades. Most of them are elected by the party’s membership or affiliates, and they want to play the role to which they were elected. To understand how the balance of power has changed over time we need to look at the development of a federal party, in which power was distributed amongst its various components – the executive, the trade unions, the leader and the parliamentary party – into the centralised party it became under Blair and Brown. Ironically, the process of concentrating power in the leader started as an unforeseen consequence of electing the leader by a wider franchise, a democractic reform I and many others sought in the late 1970s. It has had the same effect in other parties. When we campaigned for a wider franchise, we saw it as a mechanism for ensuring the accountability of the leader, not merely as a better way of choosing a leader. The elections were annual. They were not contested annually, of course, but the nomination process itself, involving MPs, local parties and affiliates, provided a harmless but important indicator to the leader of the party’s support. Without any debate or change in the rules of the party, Blair simply ordered the general secretary to stop sending out nomination papers in 1998. The rules continued to require that nomination papers be circulated until 2011 when the requirement to do so was quietly dropped without debate on the national executive or at party conference. The draft code of conduct [for party staff – Ed] stops Labour staff doing their job. They should not be neutral referees. They should be able to promote the candidates and policies of the elected leadership of the party against their internal critics. Back in Morgan Phillips’ day as General Secretary or Herbert Morrison’s as London Regional Secretary there was none of this nonsense about neutrality, the party staff explicitly had a role in giving the left a kicking. Ah, the good old days! In fact the desire of NEC members to be once more involved in the appointment of senior party managers and regional directors is entirely to ensure that party staff are once more neutral civil servants. Although the current general secretary, Iain McNicol, is certainly no longer the leader’s creature (indeed some argue he has strayed too far in the opposite direction), he has been unable to change sufficiently the party’s staff culture.You could be forgiven for thinking that there are even a few members of party staff who have completely abandoned any interest in “winning local and national elections “, so committed are they to the cause of the 4.5%ers, and more who are merely biding their time until the current temporary leader is replaced. And then there is the matter of policy making of which Minkin says Blair’s “rolling coup” involved “virtual abolition of the NEC’s policy role.” I’ve set out before what I think has been wrong with Labour’s policy process. There is a strong desire from NEC members to have a significant role in coordinating the process of policy-making. And there is also a strong desire to be consulted before shadow cabinet members announce “party policy” which has no basis in anything agreed by the party conference or the national policy forum. What I do not detect is, at the NEC anyway, any great desire to eliminate the role of the national policy forum (NPF). The NPF was a good idea when it was introduced by Larry Whitty in 1990 as a way of broadening the involvement of party members and affiliates in policy making alongside the submissions of motions to the party conference. From then on, much changed. managing it through the joint policy committee (JPC)a body designed as a way of minimising the NEC role in managing or influencing the process. And when it got to conference, it was take it or leave it for lengthy documents without any meaningful debate. The result of that was a process which, until the final stage of the last process under Angela Eagle’s chairing, almost every participant found deeply frustrating. Even in 2014, the comparative enthusiasm was more at the relief that it was nothing like as bad as previously than because they got the policies they wanted. The national executive and leader alike are now committed to one that genuinely involves party members. The JPC, most of whose members rarely attended meetings in the past since they had little purpose, could now become a mechanism for preventing the leader (and the NEC) getting the policies he wishes, by virtue of its composition if it remains unchanged, rather than the opposite purpose for which it was designed. That is why the NEC must be clearly placed in control of the policy process in line with its primary purpose. The 4.5% of the party’s membership who cling to the old Blairite view of how to manage a political party now also claim to be in favour of a democratic process. “Policy making should be wide open and inclusive,” said Liz Kendall on Daily Politics today, and it was heartening too to see Tom Blenkinsop, MP for Middlesbrough South and East Cleveland, supporting the policy-making role of conference at least in relation to Jeremy Corbyn’s views on Trident: “He can say what he likes, but he doesn’t speak for the party. September 2015 conference set policy and [it] is quite clear” (though sadly he is quite wrong about what conference policy actually is on the matter). The unspun truth is rather different. Bex Bailey seems altogether confused on the matter of centralisation versus democracy, however. She says she is “completely opposed to any move to centralise policymaking powers to the NEC or to Labour party conference“. Not that she needs to worry too much as her term on the national executive is ust about up. We look forward to the arrival of the left candidate in the election for her replacement, our own deputy editor, James Elliott. Is Labour a campaigning party, or one that follows public opinion? For those of us new ,or recently returned after a long absence (eg, myself, after 25 years away), “Corbynista” LP members , who lost interest in the Party as vehicle for working class advance once Blair and his right wing allies had taken over, this is a superb short summary of the various cynical but effective procedural/structural means by which the Blairites took over the Labour Party, step, by step , and converted a party of mild pro working class Left reformism into a neoliberal political vehicle essentially little different to the Tories. The overwhelming Leadership election victory mandate Jeremy has to shift the Party Leftwards, combined with the now overwhelming Left-oriented LP membership, should guarantee a decisive shift of policy making power back to the membership and a properly representative NEC. However, the fact remains that the majority , (possibly a big majority – but this is as yet unclear) of the , over many decades carefully selected, Progress, Labour First, infected PLP is deeply , fundamentally , pro capitalist, neoliberal/Blairite in its political perspectives – and also at the individual level, overwhelmingly wedded to the corrosive “career politician” view that the point of being an MP is mainly to tee up “favours” with Big Business to ensure cushy directorships, regular well paid reactionary newspaper “opinion” pieces and other pay-offs , after the parliamentary stint is over. This embedded neoliberal ideology, combined with the threat that the Corbyn-led Left policy shift will destroy the post Parliamentary gravy train, means that a large section of the PLP will never accept the current Left oriented direction of the Party. A significant number of the PLP would rather ensure Labour loses the 2020, or even the 2020, General Election than go along with radical interventionist Left Keynsian policies which impinge on the current almost unlimited freedoms of Big Business in the UK to rip the rest of us off . I know you have challenged me before as to my view that most of the PLP are unreformable , entirely self-serving career politician, neoliberals. You think that the various divisions in the PLP are much more nuanced – with most potentially influenceable enough to at least go along with the Corbyn Left agenda. I hope you are correct – but fear that without the Left getting itself organised (and Momentum should be a key part of this internal Left organising – not a loose campaigning assemblage – having its time wasted and focus lost by endless Far Left entryism), to seriously tackle the most disruptive plotters on the Blairite Right, the current progressive direction of the Party will be bogged down in endless sabotage and compromises to appease the utterly unappeasable Right. He seems to have set up Momentum Ltd, (actually another nasty little, “for profit,” private company on the same model as Mandleson’s Progress Ltd, to cynically cash in, (or pimp out, take your pick,) on JC’s popularity and out of thwarted personal personal ambition. What do you expect from a career politician like Watson. At least HH had set up the NCCL and was a Human Rights Lawyer before she went into politics. I agree, he should resign and let someone like Caroline Flint or Stella Creasey take over. He’s done sod all since he was elected. “Caroline Flint or Stella Creasy” ! You really are an incorrigible Blairite joke poster, swatantra ! Even Tom Watson is preferable to those vicious careerist right wingers. And what if the bulk of the Party doesn’t want to be ‘shifted leftward’, but is quite happy to stay in the centre or left of centre, where it has always been and where its greatest chance of victory lie. Will Corbyn force that shift and polarise the great divide that is already emerging. Just because he won a victory against other hopeless candidates still doesn’t give him a mandate to shift the centre of gravity of the Party ‘leftwards’ because to do so would distance the Party from n even greater electorate ie the General Public. I’ve no idea what you’re on about here JP. Tom Watson has not set up Momentum, we have. Wherever did you get that idea? I think that the case for restoring the role of the NEC to proper control of the the Labour Party policy making procedures (as well as the appointment of top officials) is solid. All the alternative (e.g. control by FT officials, Control by Party leader) are less democratic and undesirable. I am glad that Jon has defended the NPF as a good idea. It would be so easy to dismiss it because of the way it has been manipulated in recent years. I know many who think that. It is a good idea because there is no way that the full range of Party policies can be properly debated and decided at a Party conference. It is the proper role of the NPF to act as a standing conference to develop policies throughout the year. But it has to become democratic and far more transparent. It also needs to have its membership structure reconsidered. I think some care is needed on this. There is an extent to which that is going to be true even with the most democratic set up. Annual Conference has neither the time nor the set up to debate all the issues debated by the NPF throughout the year. Therefore it must be to some extent an exercise in final approval (rubber stamp if you like) provided of course that it can call in policies about which there are serious doubts. It can also properly consider matters which the NPF was unable to consider for one reason or another. The NPF reformed and reconsidered is a very good idea indeed and one that we should try to make work as the best chance of reaching policies understood and supported by the membership. It is disingenuous to attribute Luke and the opinions of those of us that agree with him to the 4.5%. As Jon well knows, Luke supported Yvette during the leadership campaign and his views are, broadly, supported by a wide plularity of those 40% of the electorate that voted for Liz, Yvette or Andy – around 60% of the then membership. It could be argued that “the 4.5%” is a useful shorthand – it is also a deliberately misleading one. I fundamentally disagree on the desirability of a Staffing Committee. Such a body could well become a thought police for staff appointments and, in over 10 years working for the Party, I did not find political interference in appointments to be an issue. Yes the staff supported the Leader but they supported whoever was leader – be in Tony, Gordon, Ed or, on an interim basis, Harriet. 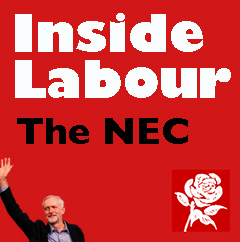 The NEC get to appoint the General Secretary and then they should be able to get on with the job – just as any other group of employees would be able to. Just as unions up and down the country would campaign to ensure . A greater role for the NEC is clearly a retrograde step and one that I am surprised to see those historically associated with CLPD supporting. I find it hard to see how giving such a narrow body a greater policy role is a step forward. By all means address any, perceived, shortcomings in the NPF but don’t do so by giving more power to a body that has a lower proportion of CLP representation and has no guaranteed structure to ensure views from all regions and nations, a wide body of trade unions, councillors, MPs and socialist societies a voiced. The reforms suggested strike me as being very much as – of the moment – driven by the current complexion of the NEC and the political priorities of the Left in trying to take control of as many structures as possible of the party to try and ensure their dominance becomes ingrained. I did not mean to imply that Luke Akehurst was an example of 4.5%er or Progress opinion as Bex Bailey is – I entirely accept Luke is part of the old Right in the mould of John Spellar. The 4.5%ers are radical revisionists, vanguardists in fact, and there really is nothing radical about Luke or John Spellar. But Steve, you completely ignore the politicisation of the staff under Blair. They had been neutral civil servants until turned into organisers for Blair by his appointed general secretary Margaret McDonagh whom the Independent described on her departure from the role of general secretary as having left “without a visible stain on her reputation as an icy, robotically loyal Blairite” and the BBC described as “queen of the stitch-up”. I want party staff to be civil servants again. Loyal to the party and its members not to the leader. The NEC doesn’t have a perfect structure. I’d like to see the same number of CLP representatives as trade union ones – equality of representation just like at conference which is where the policy of the party should be decided. But the NEC is the custodian of conference between its annual meetings. It is elected for that purpose. The NPF is an important body and I do think it should be retained and given a bigger role in policy development, with more democratic internal procedures, but it is too large to meet as often as the NEC does. I would come around perhaps to supporting a NPF if it was restructured and reformed. A few years ago our local city Labour Party had working groups on topics and I was on housing, and we were elected by the district party, and it seemed to work pretty well. Perhaps the NPF could be elected by topic for example housing and perhaps have 20 members on each NPF Topic Group 50% say being ‘experts’ i.e. academic, people working for housing charities etc. and 50% housing ‘experts by experience’ I.e. Labour members who are social housing tenants, rent privately, are owner/occupiers, may have been homeless or vulnerably housed. They could meet bi-monthly and communicate on-line, have sub groups and report to the NEC quarterly (which could be made available to CLPs and put to members on-line) and offer an annual report each for conference but here’s the revolutionary thing – we need them to learn brevity (perhaps one side of A4) and to write simply to communicate with the many in an era of information overload – try it, it is quite a new skill! And conference approves annual reports so members can make amendments/additions/deletions. A summary of the reports can also be put on-line and feedback saught (not everyone can attend meetings) by the working groups. When we have agreed policies enterprising CLPs etc could open up meetings to Labour supporters I.e. on housing. I suppose on reflection we may not have to throw the baby out with the bath water. We just need to use Anti – Neo Liberal Shampoo Ha!Ha! Luke Akehurst, it seems Jon Lansman is figuratively calling you out. Is your call for more internal party democracy really a very recent phenomenon?